Ever wonder if there is a weapon stronger or more dangerous than nuclear weapons? Well, in fact, there is and it's called H.A.A.R.P for short. The abbreviation stands for High-Frequency Active Auroral Research Program and began in 1993. The ionospheric research takes place in Alaska and has been rumored to have fantastic abilities, such as weather control and even mind control. I am going to explore the ten things you need to know about H.A.A.R.P. Attempts to change and control the weather have been underway since the 1950’s. (Link 1) Imagine the possibilities: You could make it rain during times of famine, you could divert a hurricane or tornado away from populated areas, or you could increase or decrease the concentration of a particular molecule, like nitrogen or ozone. However, the same technology that can create such benefits can also be used by nefarious people for much more sinister intentions. It can be used to trigger natural phenomena such as tornadoes, earthquakes, and hurricanes. (Link 1) You should know, however, that the governments using these technologies are very silent on the matter and often say they are harmless and for research purposes only. There are many who don’t believe that. (Extremely-Low Frequency) radio waves. This is the technology used by H.A.A.R.P and several other stations throughout the world. Injecting substances into clouds in order to induce rain or suppress hail or fog. Our brain activity patterns can apparently be measured and stored on computer by super-computers. If a victim needs subliminal-thoughts implanted, all that is necessary is to capture, save on computer, and target the person’s brainwave pattern to send them such low-frequency subliminal-messages that they actually think it is their own thoughts. (Link 3) The researchers say our brains are so sensitive that they are like liquid-crystal in response to the magnetic component of the earth. We are sensitive to earth’s magnetic changes, changes in the ionospheric cavity and re-resonate those frequencies ourselves. (Link 3) We are incredibly complex, beyond comprehension and a type of bio-cosmic transducer. The human genome is packed with at least four million gene switches that reside in bits of DNA that once were dismissed as “junk” but it turns out that so-called junk DNA plays critical roles in controlling how cells, organs, and other tissues behave. 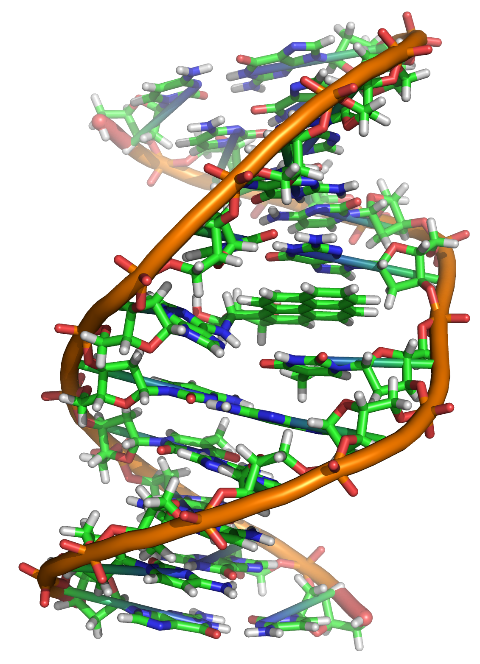 (Link 5) The discovery, considered a major medical and scientific breakthrough, has enormous implications for human health and consciousness because many complex diseases appear to be caused by tiny changes in hundreds of gene switches. Some scientists have been concerned the use of H.A.A.R.P. technology can actually affect the genetic structures in our body as well as our electromagnetic fields. Can you imagine a future where a technology could easily disintegrate your very physical body with just a beam? If you're like most people, you're not sure who Tesla is. Nikola Tesla is arguably the greatest inventive genius of the modern age. That's because he invented most of the technology we depend on every day, like alternating current electricity, the radio, x-ray, and even early H.A.A.R.P. technology. 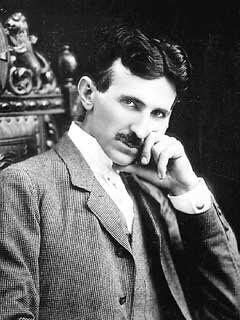 (Link 6) Tesla's inventions and discoveries also formed the basis of modern robotics, radar, wireless communications, and loudspeakers. Few of these breakthroughs are credited to the inventor, even today. So, why don't you know about him? Because certain people don't want you thinking about free energy, weather control, the wireless transmission of electricity, or the "death ray". During WWII this death ray was considered by the American government but passed over for the atomic bomb. Some theorize this death ray may have the direct effect of DNA disintegration, mind control, and even control of bodily movement. (Link 6) It is apparent that many of Tesla's inventions and discoveries were developed far after his death and are still being developed and expanded upon today. There are many people who have been fascinated by the science of terraforming for a long time. The concept of using science to change the entire atmosphere and biosphere of a celestial body, such as a planet or moon, is a very real possibility for us as a species. The H.A.A.R.P. 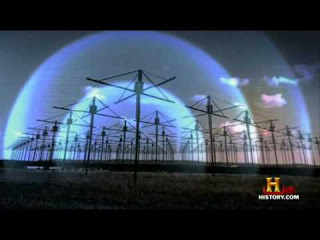 research and technology enables the manipulation of an environment by directly charging the ionosphere. (Link 7) This, in turn, can create an atmosphere, precipitation, and condensation. Essentially the idea is to insert the desired elements for the desired outcome. The essence of the program is to change anything in nature on a small or global scale. The question becomes are we terraforming our own planet Earth? The question has been asked and the answer is yes. (Link 7) Geo-engineering is the wave of the soon to be future. 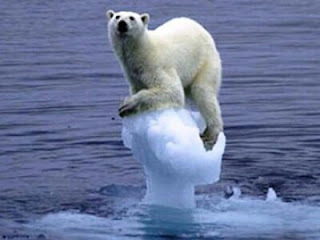 Carbon emissions have placed us in dangerous territory recently and use of H.A.A.R.P. technology to remove these emissions has already begun. Some proponents of this technology estimate that by 2100 we may be removing more carbon from the atmosphere than we produce. (Link 7) This sounds like a great use of the technology for good purposes; however, the potential use of these technologies for war, or worse global destruction, far outweighs the benefits. Hurricane Katrina was one of the costliest natural disasters in US history, costing over $108 billion dollars. (Link 8) Over 1800 people are reported to have died as a result of the Hurricane which swept the Gulf Coast from central Florida to Mexico. Coastal areas were severely hit and thousands of people had their homes destroyed. Up to 80% of city areas ended up being flooded., and many of the deaths were attributed to Levee and Floodwall failure. Up to 60,000 people were stranded in New Orleans, with the coastal guard rescuing up to 33,000. Some theorize H.A.A.R.P. was used to enhance hurricane Katrina to a category 5 hurricane and that it traveled in a straight line as opposed to most other Hurricanes, which travel in random paths. (Link 8) There is no science to back up these theories. As with most conspiracy theories, David Icke posted an article on his website alleging that Hurricane Katrina was steered into New Orleans. (Link 8) All conspiracy roads lead back to one of two sources, either alien reptiles or Illuminati control. Claims from many theorists indicate that the Illuminati use HAARP as a tool to control the minds of the masses via shortwave radio communication. (Link 8) The counter-argument to this case is that HAARP waves are too short to be measured; However, an extremely well-respected and mainstream physicist Dr. Michio Kaku has publicly stated on CBS News that weather modification is possible by the government. (Link 8) While he does not mention HAARP outright, it may bring the theory a little bit more towards the center. 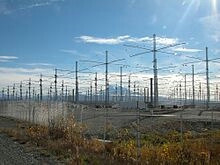 While there is evidence to suggest that HAARP has a potential use as a weapon, one of the stated aims of the project is to generate VLF and ELF (very low frequencies and extremely low frequencies) for communication with submarines, and possible use in remotely searching for mineral content. (Link 10) HAARP recently bounced low-frequency signals off the moon in the “lunar echo” experiment and invited amateur radio enthusiasts to listen in.